Often times, navigating outside healthcare services can be challenging. 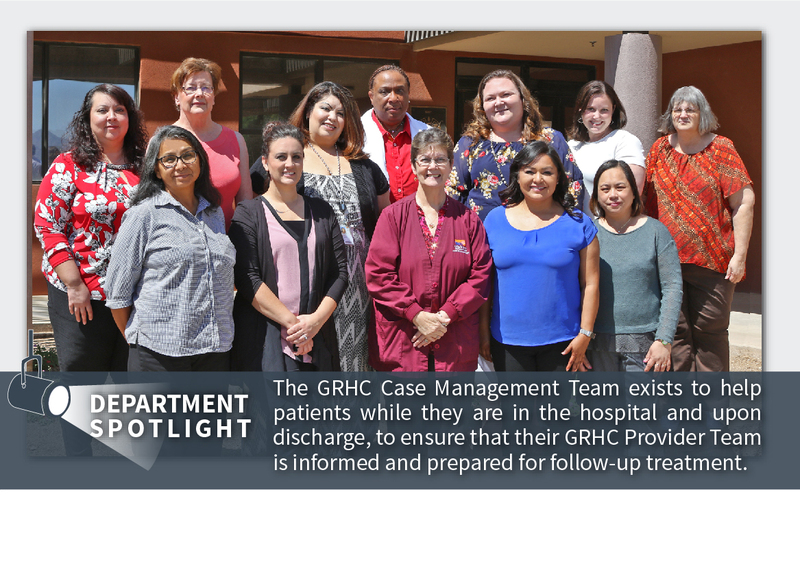 The GRHC Case Management Team exists to help patients while they are in the hospital and upon discharge, to ensure that their GRHC Provider Team is informed and prepared for follow-up treatment. The Case Management Team is committed to ensuring that GRIC patients receive quality healthcare.